Is it really possible to make mousse with only two ingredients? Yes, my friends it is. This trick of the trade came from former White House Executive Pastry Chef, Roland Mesnier. He shares this technique in his book Dessert University. The recipe is simple, but can be tricky at the same time. You must follow instructions perfectly in order to have a smooth, creamy, heavenly, melt in your mouth chocolate mousse. Too be perfectly honest, I have messed it up once or twice trying to rush the process. So take my advice, set the heavy cream on the counter and forget about it :) It will still whip up at room temperature despite what you may have heard before. Check the chocolate right before adding it to the whipped cream, making sure it is still warm. If not, warm it up slightly. Whip heavy cream to soft peak. When chocolate is just warm to the touch (not hot), whisk it into the whipped cream quickly. 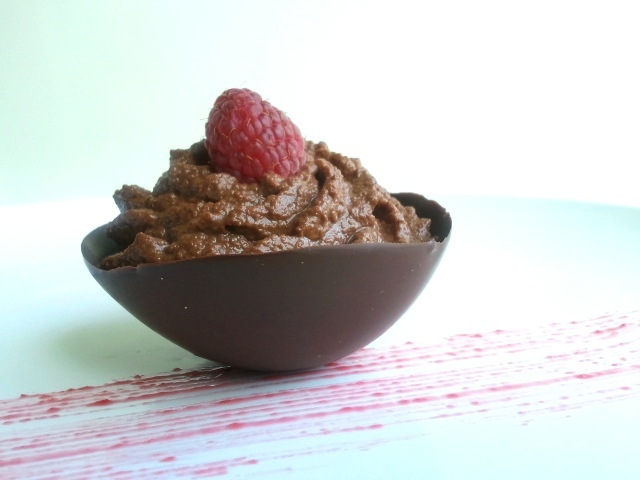 Place mousse into individual serving dishes or one large bowl. Serve immediately, or refrigerate for up to 1 day before serving. *if the chocolate or whipped cream are too cold, you will end up with a grainy mousse because the chocolate will harden too quickly. So, where the heck have I been?? Wow, this sounds easy enough to try, just requires some patience.. I’m going to give it a shot this weekend. looks yummly.. question can I sub the semisweet chocolate for cacoa nibs or powder??? I can’t guarantee that it will work because I haven’t tried it. 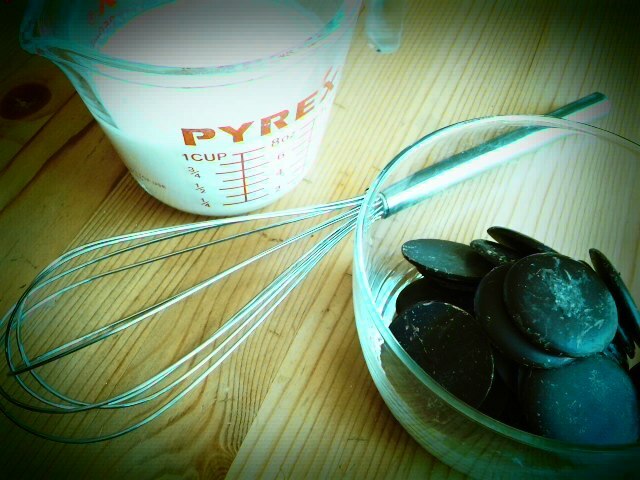 If you use cacao powder it will be a chocolate whipped cream. I’m sure it will still taste good, just a different texture. I make this with cocoa powder and Xylitol all the time. I often chop up nuts and stir them in, or add cut up fruit. When you are eating very healthy and avoiding sugar and gluten, this is a great little dessert to address those cravings!